The quality and the creativity of the artists Fuman Art works with caught the eye of his Excellency Mr. Rashid Bin Mirza Al Mulla, the chargé d’affaires of the embassy of the State of Qatar in Malaysia. Thus, the Embassy commissioned one of them to create an artwork for the “Peace & Security Forum 2013” dinner talk in Kuala Lumpur. On May 16th, the dinner was attended by prestigious guests among which his Excellency Dr. Khalid Bin Mohammed Al Attiyah, the Minister of State for Foreign Affairs of the State of Qatar and his Excellency Tun Abdullah Haji Ahmad Badawi, the former Prime Minister of Malaysia and Patron of International Institute of Advanced Islamic Studies Malaysia. 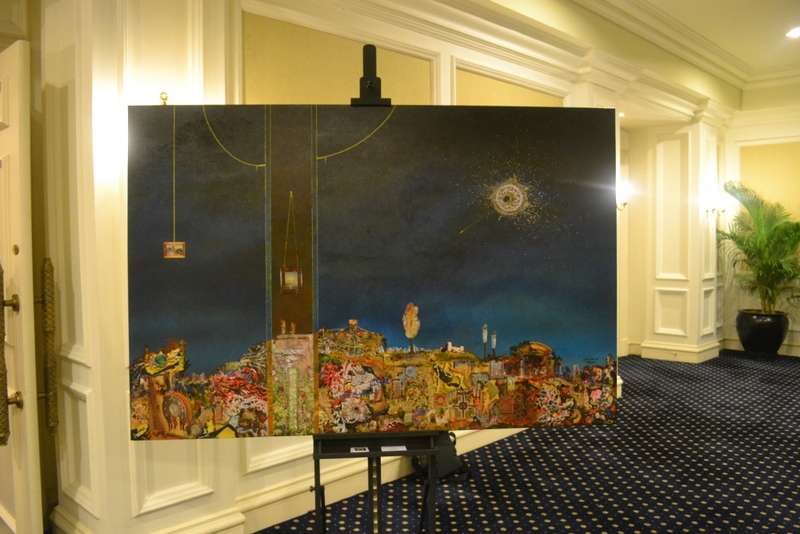 The big scale artwork entitled “Dreams of Qatar” created by Gustavo Charif was exhibited at the event and create a topic of discussion between the attendees.